Thousands of Greeks have taken to the streets of Athens to protest the name of Macedonia, as the Greek government tries to resolve a decades-long dispute over what the neighboring country should actually be known as. 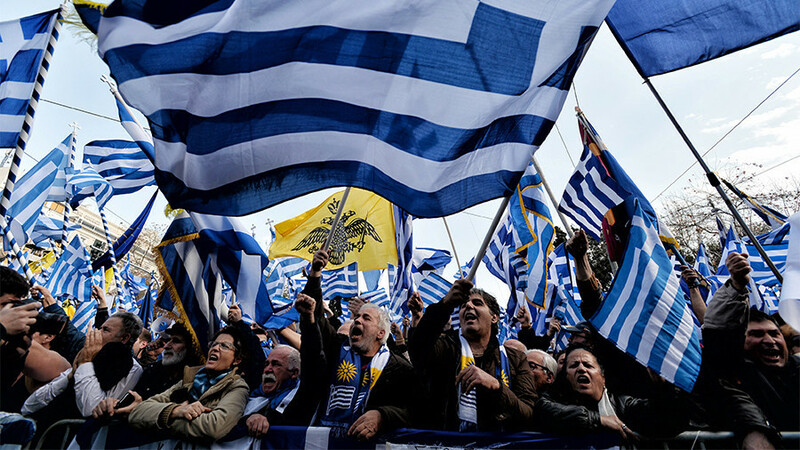 Protesters arrived by bus from all over the country, waving Greek flags and chanting "hands off Macedonia" and "Macedonia is Greece," clearly unhappy with the fact that neighboring Macedonia shares its name with a region in northern Greece. 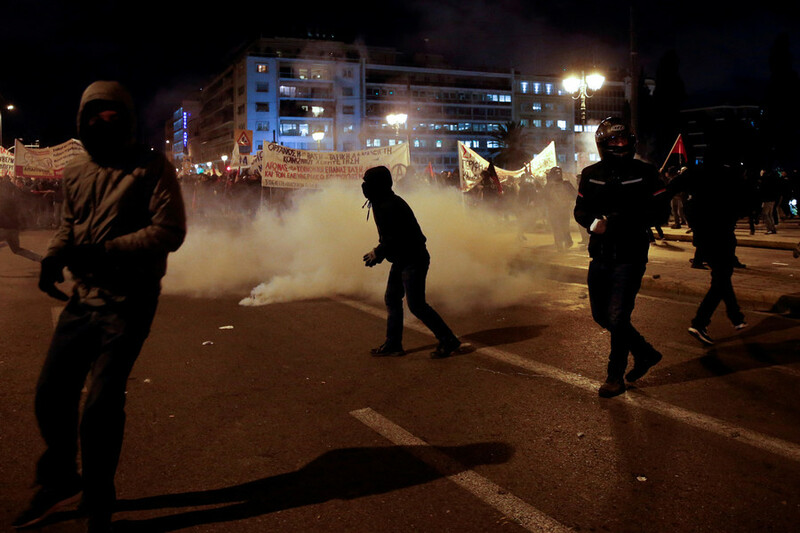 Traffic in the center of the Greek capital ground to a halt and several metro stations were closed. 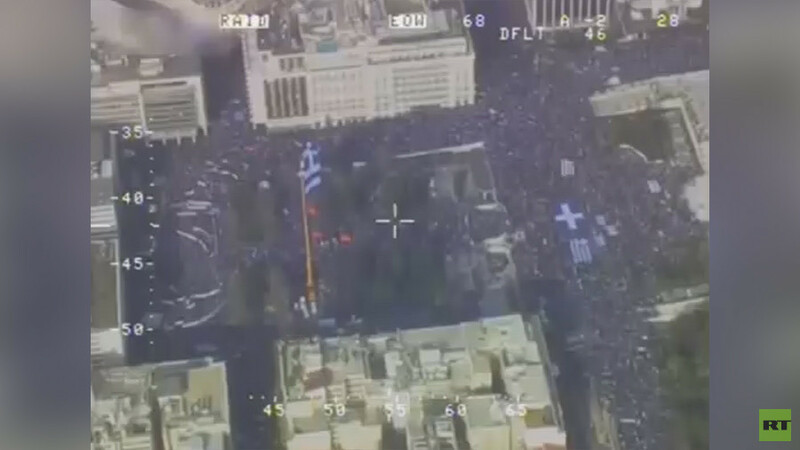 Organizers estimated that 1.5 million people gathered at Syntagma Square outside parliament, but police estimates quickly deflated that number to just 140,000. This is the second such protest in the last few weeks. 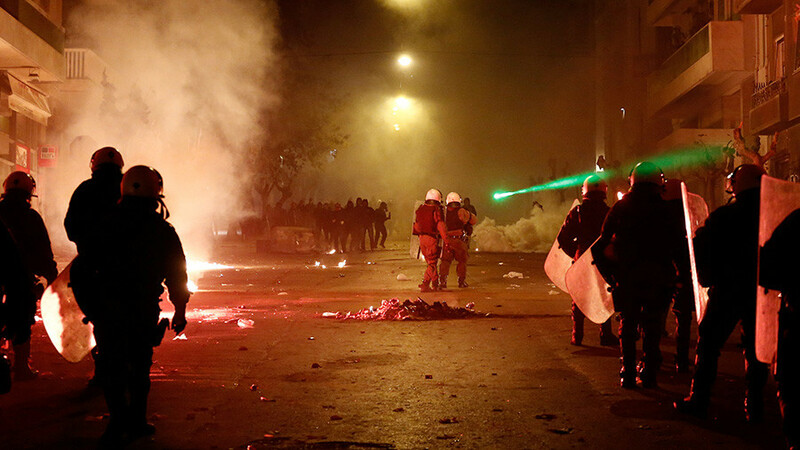 A demonstration drew at least 90,000 people in Thessaloniki, the capital of Greek Macedonia, on 21 January. "Macedonia was, is, and will forever be Greek," said Mikis Theodorakis,famous composer and symbol of resistance to the 1967-1974 military junta. "If a government considers signing on behalf of our country, there is no doubt it must first ask the Greek people," he told the crowd. 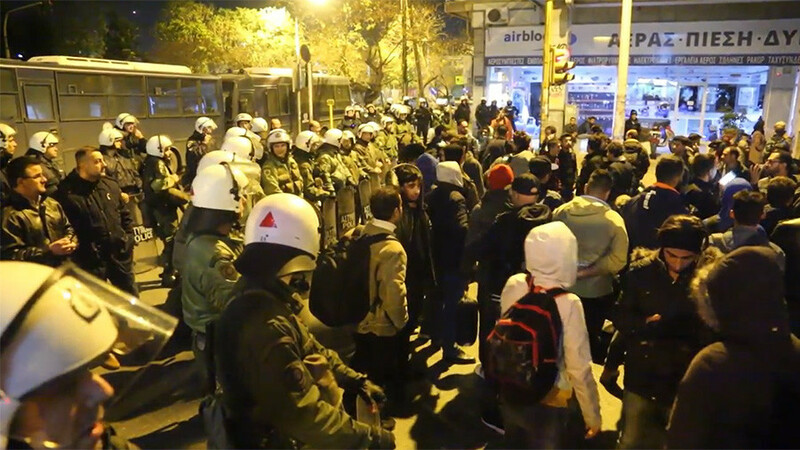 A small counter-protest by leftist activists and anarchists took place nearby, where scuffles broke out with far-right nationalists. 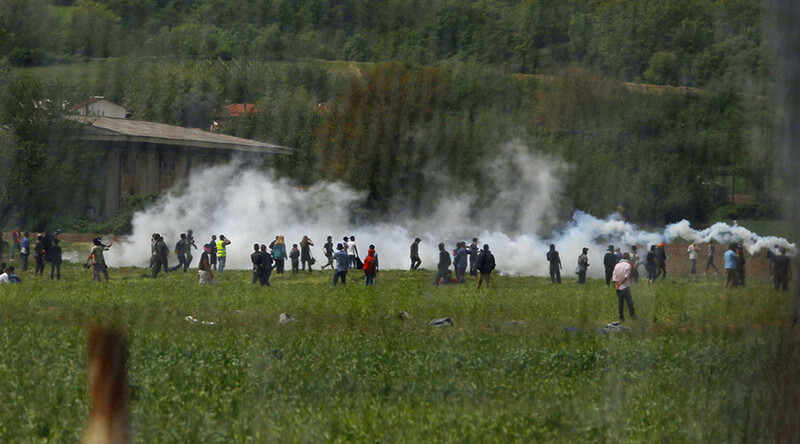 After being pelted with rocks, police fired stun grenades and tear gas to disperse the mob. 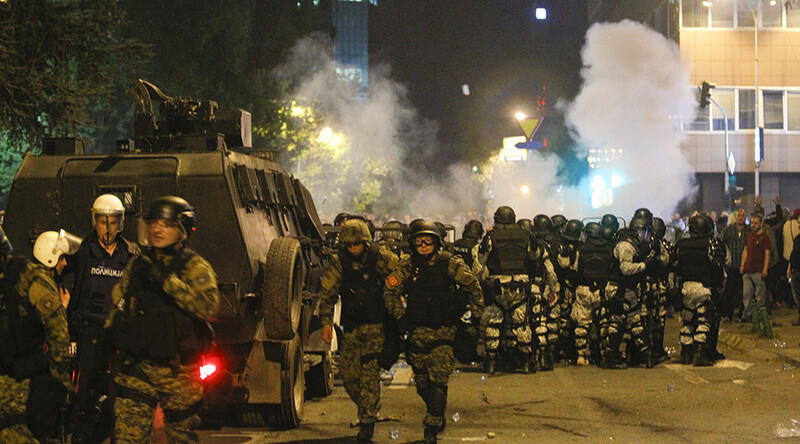 The squabble with Macedonia has been ongoing since 1991, when the small Balkan country declared independence from Yugoslavia. Since then, it’s been known across the world as the Former Yugoslav Republic of Macedonia, but many Greeks refer to it by its capital city, Skopje. The name of Macedonia is contentious because to many Greeks, it implies a claim over the Greek region of the same name. Although people from the country of Macedonia speak a Slavic language, the name of both places derives from the ancient Greek kingdom of Macedon, which gave rise to the famous conqueror and icon of Greek history, Alexander the Great. The Greek government is currently in talks to resolve the issue, apparently agreeing to a new name for the country, which would also settle the disagreement holding back Macedonia’s entry into NATO.